We’re pretty tired of getting the same old long complicated legal updated privacy documents from companies. So. Cheap Shutters have decided to STOP TRACKING. That’s right, we don’t track anyone at all. We do NOT use Google analytics or any other cookies EXCEPT the one to say that you have read this notice. If we want to advise visitors about Cookies, ironically we have to set a cookie. We do NOT store any of your details after the end of each month. If you complete our quote form. NO STORING of your data whatsoever after the last day of the month. The ONLY data we have is precisely what you input on the form. If you do for any reason want a copy of the form you have completed before the end of the month, just contact us and we will email you a copy of the form. So what does happen to your details if you want a quotation from us? 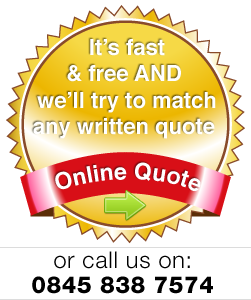 When you complete our quotation form, it goes DIRECTLY to our supplier electronically. We do not store, edit, maintain or keep your details in any way. That’s it, end of our GDPR update. No tracking. No storing. No misuse of your data by us. https://www.cheapshutters.co.uk is a website listing our chosen shutter companies for listings and reviews. Any reviews should be certified by the visitor, and https://www.cheapshutters.co.uk offer no validity or warrant that the opinions on this web site are correct and any information should be verified independantly before being acted upon. None of the contributors, sponsors, administrators, nor anyone else directly or indirectly associated with https://www.cheapshutters.co.uk can be held responsible for any inaccurate or libelous information or for your use of the information contained on these web pages. This includes links to third party sites which https://www.cheapshutters.co.uk may link to, which are beyond our control. The information provided here is provided freely, and no agreement or contract is created between you the visitor and the owners or users of this site, the owners of the servers upon which it is housed, the individual https://www.cheapshutters.co.uk contributors, any project administrators, or anyone else who is in any way connected with this project or sister projects subject to your claims against them directly. You are being granted a limited license to copy anything from this site; it does not create or imply any contractual or extra contractual liability on the part of https://www.cheapshutters.co.uk or any of its agents, members, organizers or other users. There is no agreement or understanding between you and https://www.cheapshutters.co.uk regarding your use or of this information. Any of the trademarks, service marks, collective marks, design rights or similar rights that are mentioned, used or cited in the articles of https://www.cheapshutters.co.uk are the property of their respective owners. Their use here does not imply that you may use them for any other purpose other than for the same or a similar informational use as contemplated by the original authors of these https://www.cheapshutters.co.uk articles. Your use of any such or similar incorporeal property is at your own risk. Publication of information found in https://www.cheapshutters.co.uk may be in violation of the laws of the country or jurisdiction from where you are viewing this information. The https://www.cheapshutters.co.uk database is maintained in reference to the protections afforded under local and federal law to the server. Laws in your country or jurisdiction may not protect or allow the same kinds of speech or distribution. https://www.cheapshutters.co.uk does not encourage the violation of any laws; and cannot be responsible for any violations of such laws, should you link to this domain or use, reproduce, or republish the information contained herein. https://www.cheapshutters.co.uk does not intend to provide visitors with professional advice. If you need specific advice (for example shutters installation work etc) please seek a professional who is licensed or knowledgeable in that area. Its always a good idea to read up on the shutter company you are intending to use, a good place to start is the British Blind and Shutter Association www.bbsa.org.uk which lists registered members. Other places to check on companies include www.checkatrade.com and www.ratedpeople.com who have other public reviews of companies. We only use ONE COOKIE. That is the cookie which shows the message regarding GDPR. The cookie remembers that you have visited our website and agreed to having a cookie stored. It does not track or inform us of anything else and is non – identifiable. https://www.cheapshutters.co.uk work with our partner shutter company to provide our visitors with the best possible ballpark quotation for interior shutters. If the visitor requests a quotation we will pass the details to our trade manufacturer DIY Shutters who will make every effort to provide a quotation to the visitor. At this time, https://www.cheapshutters.co.uk does not retain visitor information nor sells it on other than to our trade partner.